Здравствуйте, товарищ! 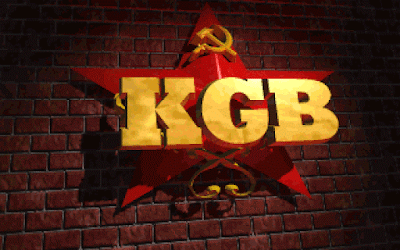 And welcome to the KGB. Since this is your first day, we’ll give you a generous 5 minutes to get settled in before sending you out on a mission. 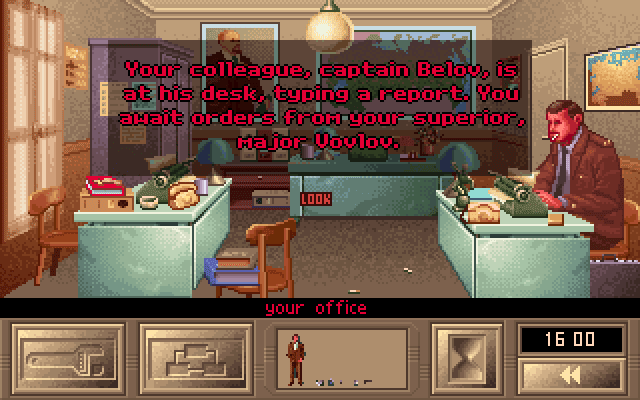 I’m not an authority on Soviet work habits, but I find it hard to believe that their work days used to start at 4 pm. The entire game summed up in one image. Last week, I had a ton of fun exploring the alien vessel in Starcross. One part dungeon-crawl, one part “hard” science fiction, it wasn’t like any of the games that I have played so far in this series. Unfortunately, I found a few of the puzzles too challenging and I had to give up. I could not turn on the lights to explore the rest of the ship and I could not fix the leaks which caused me to run out of air. 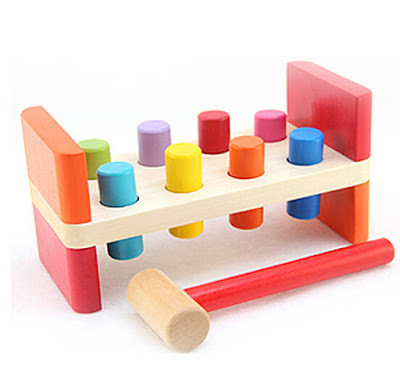 I also knew of several colored rods that I was unable to collect. 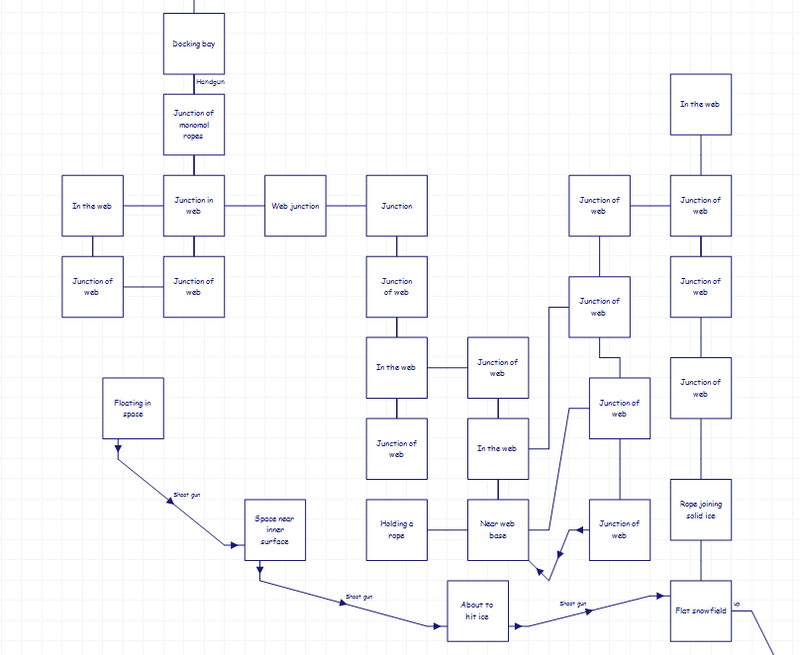 With the help of a few hints, I was able to get the game moving again and complete my explorations. 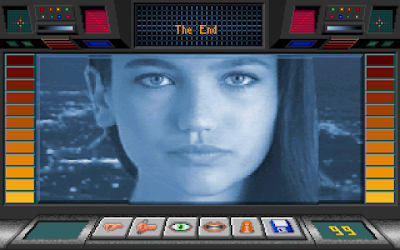 This week, I’ll conclude my tour of the accidental generation-ship and close out the fifth game in our marathon. The first challenge I faced this week was turning on the lights, a problem so solvable that I had done it a half-dozen times without even realizing it. Paul Atreides Journal #1: "My task is clear. Defeat the Harkonnens. I was born for this and only I can do this. They’ll never expect that I can make a fighting force out of the Fremen. They underestimate them and they underestimate me. I will become as one born here and the Fremen will have no choice but to accept me." 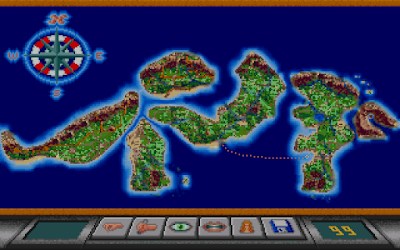 The ornithopter map at the beginning of the game has three Fremen sietches marked. 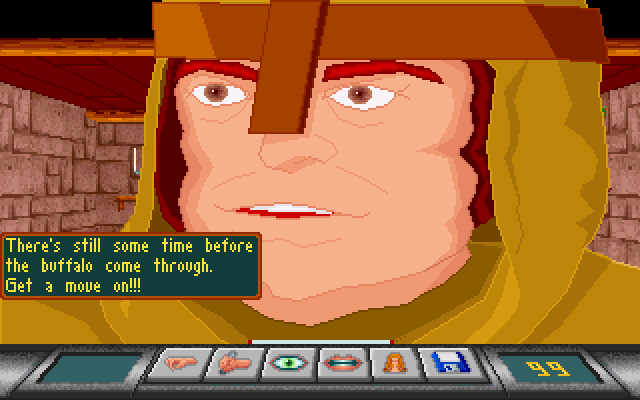 Discussion point: If Adventure Games were invented now, what would they be called? Pirates! is surely a game full of adventure, right? And Avatar is always on an adventure, right? Heck, surely looking for diamonds in a cave full of deadly fireflies is an adventure! No, Cryo did actually release 2 games during 1992. And - as if that wasn’t enough - 92 was also the year the company was founded. How’s that for ambition? Well, to be precise, they only formally founded the company. They’d been working together as a development team since 1989. But still. 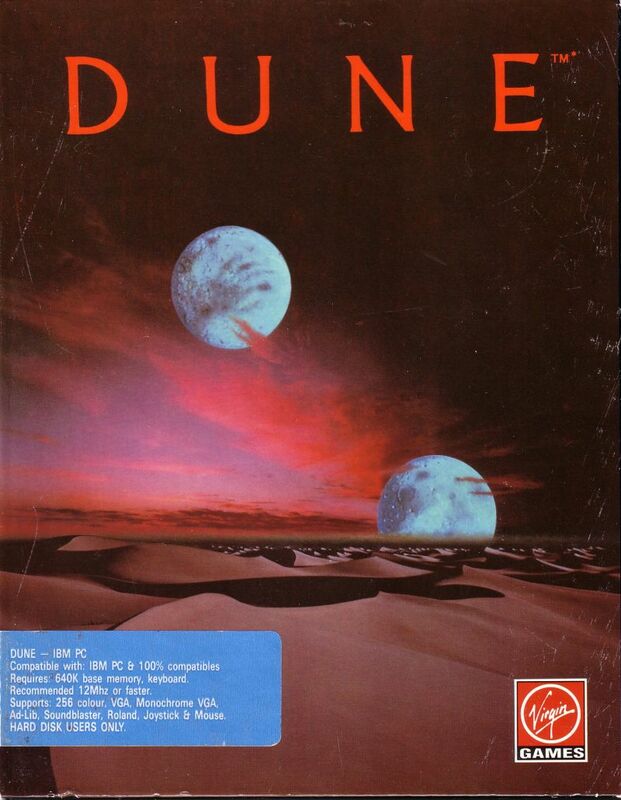 As you are undoubtedly aware, the other game released was Dune, the game based on the movie based on the book by Frank Herbert. My trusty ship, the Starcross. Last week, I embarked on an adventure: While searching our solar system for miniature black holes to mine, I instead found a gigantic alien ship. Before I knew it, I will pulled alongside and forced to dock. With my ship trapped, all I could do was board the vessel and see what was up. I solved one difficult (to me!) puzzle at the door only to find a long red hallway and suspiciously breathable air. We’re not in Zork anymore! 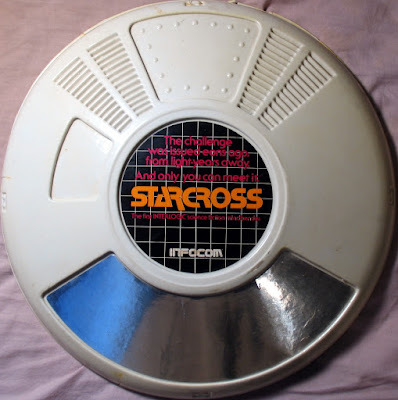 It’s time to play Starcross. Let me start with the usual disclaimer: I play these games like an OCD weasel on caffeine and so I’m sorting the events in a way that describes the individual areas even as it doesn’t quite reflect the jumping back and forth that happens when inspiration strikes. Much of the ship I am about to explore is open immediately and so a lot of the early part of the game is just getting the lay of the land in an alien ship. Although it is a very “Zork” experience puzzle-wise, the setting never feels like anything that has come before in this series. It’s mind-bending. If you've read any science fiction, you've probably at least heard of Dune, the classic novel by Frank Herbert. 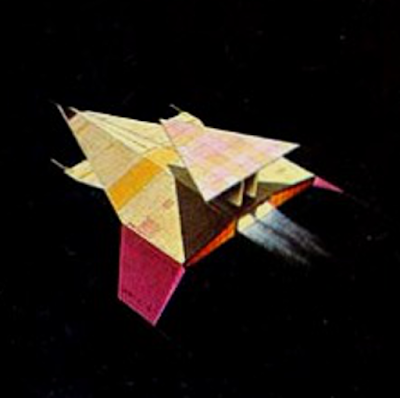 It was originally published in 1965 and spawned five more books written by Herbert himself, plus several more written by his son Brian Herbert with Kevin J. Anderson. And of course, it's the basis for the adventure game developed by Cryo Interactive and published in 1992 by Virgin Interactive. Actually, the game was based completely on the 1984 movie, which was based on the novel but has some differences. 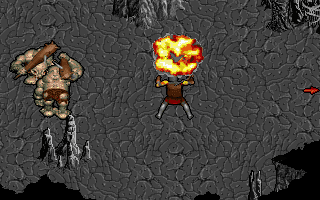 Eternam is probably one of the more divisive topics I've had to attack here on the blog. The 'win' post has made it very clear that there were people who actually found this game somewhat endearing and likeable in its own way. I decided to focus on the more negative aspects because every time I attempted to write about it up front, it simply read as gibberish and barely came out to more than a paragraph or two. Eternam is a big game where not a lot actually happens. There are plenty of jokes throughout the way, most of which don't necessarily tickle my personal funny bone. In contrast to most of the other games I've reviewed where I found personal interest, or could at least understand the target audience, this one just never worked for me. Given as much, I decided to spend the last few days researching reviews both of a time-specific nature (Zero, a UK magazine, has its highest review yet I can't find anything from it outside of the score so it's largely useless) and of a more up-to-date theme, not that a great many people have put together video reviews et al of it. A few weeks ago, Zork III fell to the might of my trusty elven sword. That’s four games on our Zork marathon completed and I remain excited for this series and what comes next. It’s time to take our first official side-trip: Starcross. 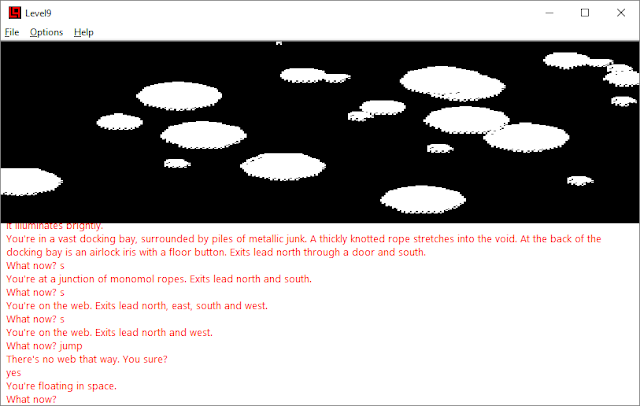 Released simultaneously with Zork III and tied for the mantle of Infocom’s fourth game, Starcross is another genre-buster for 1982. While Marc Blank proved that text adventures could work for mysteries, Dave Liebling went after hard science fiction. 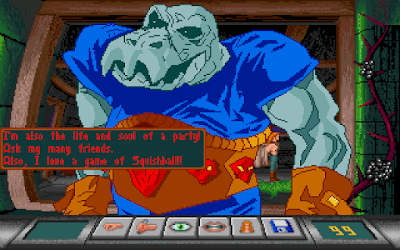 I’ll be playing it because (I am told) it has elements that directly tie it into the Zork universe, albeit not part of the main series. We’ll have to wait and see. Right off the bat, Infocom wanted to make Starcross unlike any game that had come before. Only a few months after introducing the “feelies” with Deadline and starting to distribute their own materials, Infocom took creative packaging to the next level by utilizing a distinctive “UFO” shape for the release. The “box”, if you can call it that, was a plastic flying saucer. I vaguely remember reading about this gimmick years ago; boxes literally rolled off the shelves. It’s a funny way to start what promises to be a serious game but let’s hope they didn’t pour more creativity into the packaging than the game itself. I'll just say right out that I enjoyed Gateway very much, but I think nostalgia played a pretty small part in that, mostly by making the game easier because I remembered some of the plot and puzzle solutions. Gateway was consistently strong across the categories, bringing a polished and engaging experience to the player throughout. If anything, it started out a bit slow and built up to a very strong finish with the layered VR scenarios at the end. Let's break down why I found it so enjoyable and also where the game could have been a little stronger. I believe the puzzles are fair and logical, although I could see where some optional points might be easy to miss if you aren't careful about being social and polite to everyone. The trickiest parts are probably in the VR sections, but those are also the most fair because they are completely self-contained: everything you need is within the simulation, so it's just a matter of working out the right way to use what's there to break the scene. Rolf's opinion changes depending on how you solve the local puzzles. The reward is a wonky closeup of our 'helper' – they really love to zoom in! Outside the airlock was a docking bay, with a handgun that I quickly took in my possession. The massive doors of the docking bay were open, and a huge web connected the freezer unit to the inner surface of the enormous ball of ice. Traversing the web wasn’t particularly difficult, but I also found a much quicker way to get down. When I had earlier tried to explore the outdoor locations - slowly dying of the lack of oxygen and in complete darkness - I had been told at one point that I was leaving the web and asked if I was sure. I tried to duplicate that experience by going to some edge of the web and moving to a direction without any web (Later I found out that I could have just jumped at any point off the web). Suddenly, I found myself floating. are these white dots supposed to be? Giant snowflakes?